$15.99 Canadian, but I think I got 20% off my purchase. So, pricier than most deodorants, but a little goes a long way. I’ve had mine since November and haven’t used half yet. It’s actually on sale right now until Feb 8, 2015, you can click here to go to the product. Sweating is completely necessary and natural, I get it – but having a nice subtle lavender scent wafting from my arm pits instead of the alternative doesn’t bother me one bit. The ingredients in this product are clean and certified organic (arrowroot powder, baking soda, shea butter, kaolin clay with some oil for moisture and scent) and didn’t irritate my skin. Even after I shaved my armpits!! I can put this on and it doesn’t burn like some products I’ve used. It just felt like I was putting moisturizer on my armpits, I was impressed. The only thing that I found funny was during hot yoga, it would drip white as I sweat it off. Not a big deal to me though. I mean it’s hot yoga, I don’t really want something to clog up my sweat glands, and it didn’t transfer white onto any of my clothes under normal circumstances. I would definitely recommend this and repurchase it. 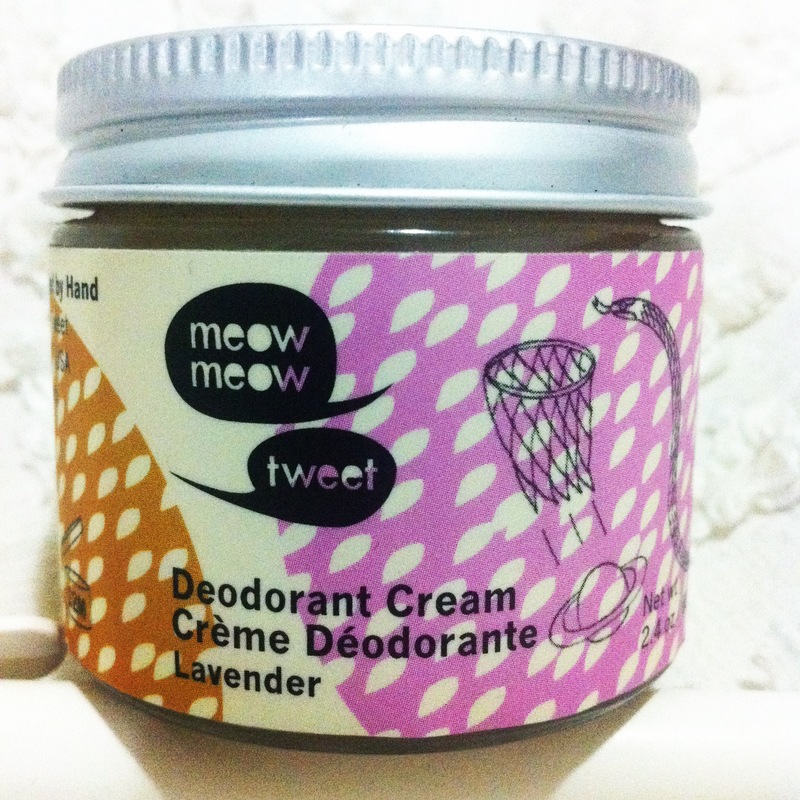 I think I may be a deodorant cream convert! The smell is nice but mild, it lasts the whole day and the times I’ve reapplied it, it didn’t feel like I was layering on top of old funk (can anyone relate with this?) which is what I would sometimes feel like with other products. I like it and the ingredients so much, I may try to make my own batch when this runs out. ← Do you let your face fly fancy-free?